As a result of this deal, we promise that absolutely nothing will change even though Mark Zuckerberg now literally owns BartK. We will not, for instance, take away all current license options and replace them with a single license that grants all ownership of your content to Facebook. And we definitely won't start sending all your data to advertisers and government agencies. Furthermore, one thing we in no way have plans to do is frequently "upgrade" our privacy settings and assume that you want all of your private data to be publicly viweable. When asked to comment, OGA founder Bart Kelsey said, "Well, it seemed like the thing to do. We're just coming off of a successful funding campaign, so what better way to drive a (*ahem*) rift between us and our users than to sell the site to a company that clearly doesn't have the interests of artists and game developers at heart. In case you're wondering, I'm pretty much in full spin mode right now. Realistically, there's no way I could possibly justify this to anyone (least of all our loyal userbase), but on the other hand, what do I care? I can hardly hear all the complaints from underneath this gigantic pile of money." Facebook CEO Fake Mark Zuckerberg said of the deal, "It was the right time to act. 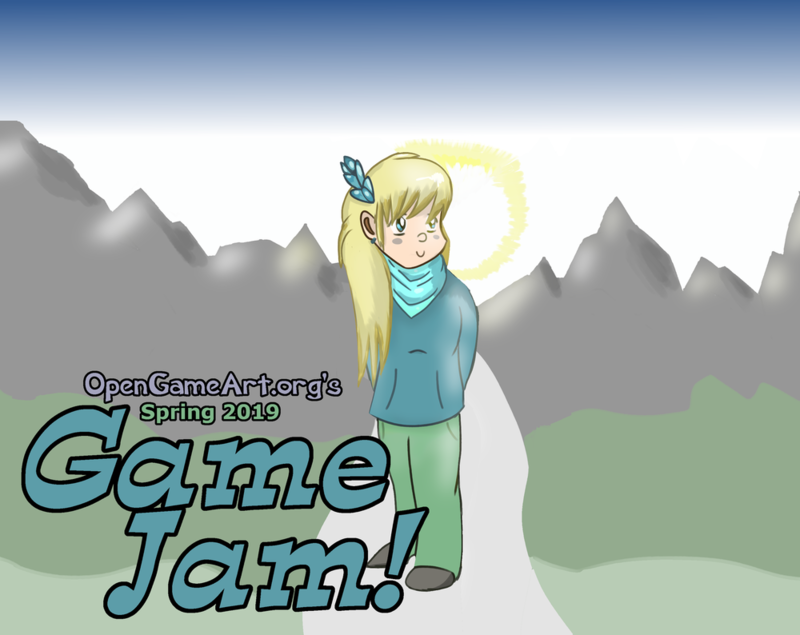 Historically, OpenGameArt does annoying things right around April 1st every year (such as their acquisition and monetization of Battle For Wesnoth, and their addition of DRM which made all of their hosted art only work on alternating Tuesdays), so it seemed like the right time to do something that would make all of their contributors want to pull their hair out. And as my company [Facebook] continues its slow but inexorable death spiral, it's my personal goal to bring down as many well-liked, user-centered projects with us as we possibly can." Zuckerberg then pulled his pants down and mooned everyone in the press room. As alwyays, we wish everyone a happy April Fools Day! A re-theme of the site -- It's just not feasible at the moment with the amount of time (and money) I have available. There are too many fields on the art submit form -- While this is a frequent complaint, it's also a frequent complaint that we don't ask for enough info on art submissions. I'm asking people to fill out the absolute bare minimum of what we need in order to be useful. If you have ideas for the art submission form that don't involve removing fields, I'm all ears. I've been working on setting up the beginnings of gamifiction (that is, fake internet points) here on OGA. If you look at the right side of the menu bar, you'll see a "Leaderboards" entry, where you can take a look at psoples' point totals. Right now, you receive points for favorites (across all art categories), and comments. I probably won't be implementing points per art submission, as that's just encourgaed people to flood the front page with small submissions in the past. The best way to hit the favorites leaderboard is with large, high quality art submissions (those are the kind that tend to receive a lot of favorites). So I'd like to announce another feature. Hot on the heels of being able to create a credits file from a collection, we now have a "My Downloads" collection that automatically keeps track of all of the items you've downloaded. The collection is truly private to your account, so no one else can view it (as opposed to "unlisted" collections, which are viewable by other people). To find it, go to your user account page (click on your username in the upper right), and click on the My Downloads tab. Note that, just like with any other collection, you can download an automatically generated credits file. Finally, it's likely that some of these collections will eventually get very large. If this ends up causing a performance problem, I may have to limit them to, say, the last 50 downloaded items, but for now we'll wait and see. Suggestions and comments are welcome, as always. P.S. We're saving this information for your convenience, but you can turn it off from the My Downloads Tab or your user profile form.